On the morning of 30 December 2014, Cessna 208B Grand Caravan N950FE, operated by Baron Aviation Services for Federal Express (FedEx). impacted the ground short of the Roswell International Air Center Airport, New Mexico. Instrument meteorological conditions (IMC) prevailed at the time of the accident and an instrument flight rules (IFR) flight plan had been filed for a Part 135 scheduled cargo flight from Lubbock, Texas. Baron Aviation Services, of Vichy, Missouri, was founded in 1973 and has been a FedEx feeder carrier since 1975. This was originally with DC-3s. The company has grown to a current C208 fleet size of 34 aircraft. N950FE is owned by FedEx. The pilot reported that he encountered inflight icing and solid IMC conditions for most of the flight and due to airplane performance was unable to climb above 8,500 feet mean sea level. In the post-accident interview, the pilot thought the altitude limitation was due to ice forming on the unprotected portions of the wings. During the approach the pilot received vectors and altitude changes by the controller; the controller issued a clearance to 4,900 feet; the pilot acknowledged and stated that he didn’t have much elevator control and thought that his controls were “almost frozen”. In the post-accident interview the pilot added that he controlled his descent by adjusting power. He added that based on losing altitude, by using flaps during a climb, he elected not to use flaps on the approach; stating he never went below 100 knots on the approach. About three miles from the runway the controller cleared the pilot down to 4,580 ft, and the pilot acknowledged the transmission. Two miles from the runway the controller reported he was “on course”, and 4,280 ft was the recommended altitude. The pilot was unable to identify the runway until too late for a normal descent to land. Rather than perform the missed approach procedures, he elected to turn left, for a circling [no flpap] approach to runway 35. During the maneuver, an intermittent stall warning horn was heard in the background of radio communications between the controller and the pilot, indicating that the airplane was below the manufacturer’s recommended approach speed. The pilot stated that he “never went below 100 knots” during the approach. On the second landing attempt, before crossing the runway threshold, the airplane suddenly experienced an un-commanded roll to the left and the left wing and left aileron impacted terrain. The pilot was uninjured and the aircraft received substantial to the left wing. Frost and ice was evident on the aircraft. …the manufacturer’s minimum recommended no-flaps airspeed in icing conditions is 120 knots. Additionally, the manufacturer recommended using 10° of flap extension for landing when airframe ice was suspected. 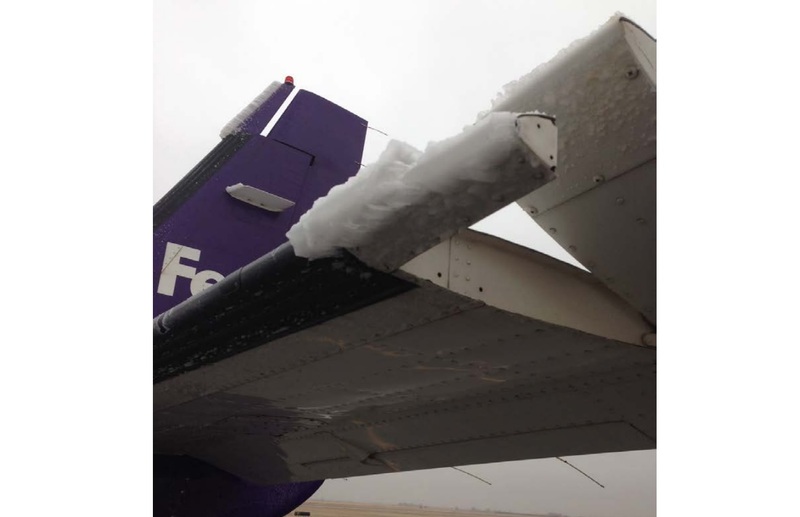 It is likely that, during the approach for landing, the pilot did not compensate for the airframe icing by increasing the approach airspeed as recommended. The accident is consistent with the pilot not maintaining adequate airspeed during a circling approach to the runway, and the uncommanded roll is consistent with an aerodynamic stall. The situation was likely exacerbated by the presence of ice on the wings and control surfaces. A post incident interview determined that a company recommended cruise power setting was misunderstood by the pilot to be a maximum allowable power setting. This misunderstanding created the situation in which the pilot was not using all available power to manage the icing encounter. The company will review this information with each pilot on an individual basis. The company gave the pilot additional training on flight in icing conditions including a thorough review of the Caravan Cold Weather Operations training. This was a 3 hour online course. The weather information the pilot used was dated by the time the aircraft actually departed. The pilot stated that had he known how the conditions had changed he may have elected not to depart. The company will find methods to provide the pilot with more sources of weather information. …new, low time, low experience pilots to have an instructor or more experienced pilot to work with them during the icing season till the pilot is proficient at the conditions. This should also include training with using the autopilot during icing conditions. I’d like to see some form of protection for the elevator to keep ice from jamming the elevator like what happened to me. Canadian Mining Icing Air Accident (Cessna 208B Caravan) where a cold soaked aircraft took off over gross weight due to accumulated ice from a previous flight. De-Iced Drama: a Norwegian Air Shuttle Boeing 737-800 came close to stalling as a result of a blocked elevator. Roselawn Accident – 20th Anniversary, a fatal US ATR accident in 1994. 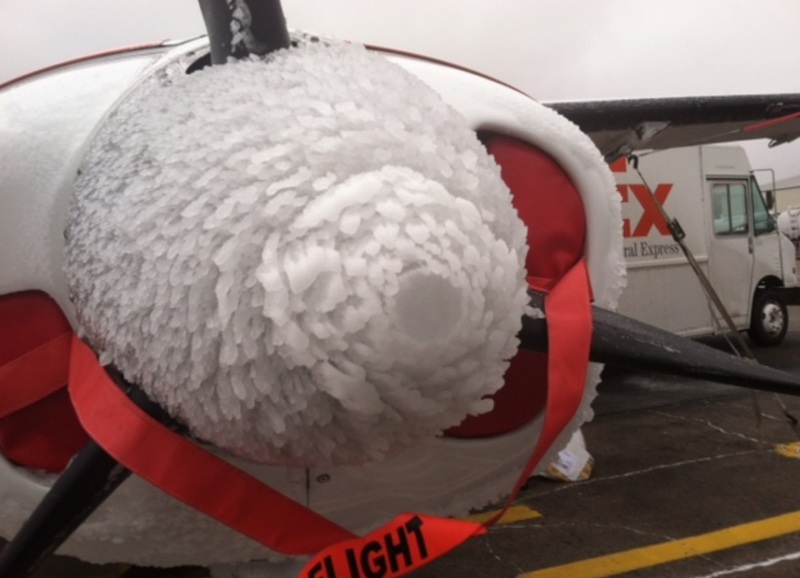 Cessna Citation Excel Controls Freeze due to leaking water. Breaking the Chain: X-31 Lessons Learned: where an experimental NASA aircraft was lost after pitot tube icing. ATP Serious Incident – Temporary LOC In Icing Conditions, also in Norway. Icing conditions (ground and in flight) was the topic for a European Aviation Safety Agency (EASA) conference in 2013.